William was born in Wolverhampton in 1898, the son of William and Elizabeth Gamston. In 1901 they were living at 136 Walsall Street, Wolverhampton. By 1911, they were living at 18 Bath Street, Wolverhampton, together with William’s siblings, Edward, Rosina, Isiah, Elizabeth, Edith Fanny, Gladys, and Charles, along with a boarder, James Sparkes. Having attended Walsall Street Council School, William later worked for the New Brotherton Tube Works. In September 1914, William enlisted as a Private with the 7th Battalion of the South Staffordshire Regiment (number 11625), and first served in the Balkans from 6 October 1915. 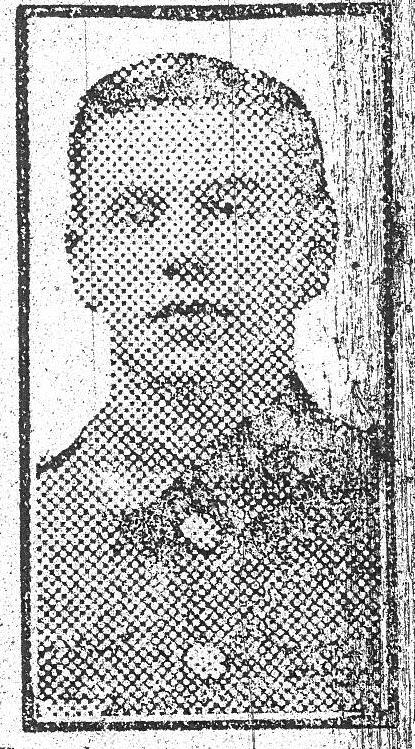 According to an entry in the Midlands Counties Express on 6 January 1917, he was “slain in action” on 23 November 1916. According to the article, William’s brother was also serving with the South Staffordshire Regiment and had also been wounded in action twice, but it is not clear which of his brothers this is referring to (although it is presumably Edward as Charles is definitely too young and Isaiah is unlikely, being only 10 in 1911). William is commemorated on the Thiepval Memorial.